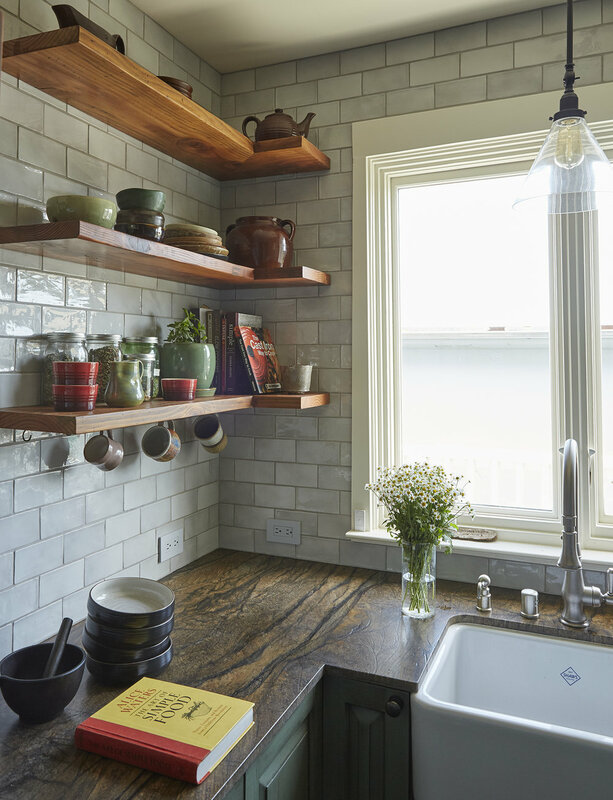 These clients came to Studio Burke with specific ideas for their kitchen remodel. Inspired by nature (the slab was picked because of its tree like elements), this 8 x 10 kitchen utilizes every inch for storage and cabinetry. 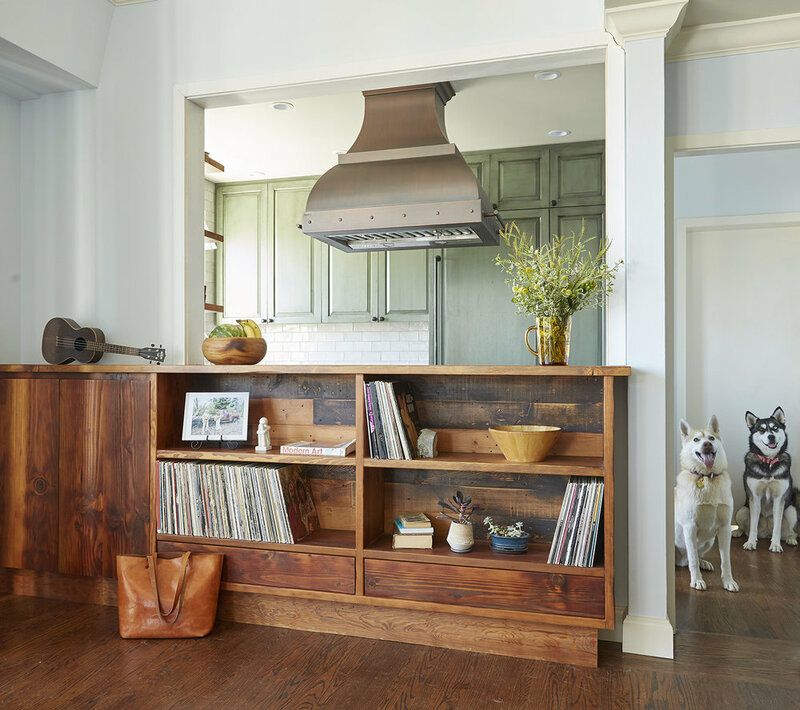 A custom record bookcase and kitchen shelves are made out of reclaimed wood from Heritage Salvage in Petaluma.